Between peer endorsements and the hamster, it should at last be safe to enjoy ourselves. Wackiness has never been far from the Overwatch forefront, though held at bay, until now. Enter ‘Hammond’ (a.k.a. Wrecking Ball) the hamster, who, first of all, is certainly a hamster, but, above of all, brings to the combat arena the kinds of abilities that we’re used to seeing in shows like Teen Titans. Minds. Blown. For us, the arrival of Hammond puts so much into perspective. We’ve seen the light. The veil is lifted. Underpants color? That cover is blown. With a hamster in the house, there is no longer any need for angry fools. You’re either the hamster, playing alongside somebody who is the hamster, or going up against a team that comprises a hamster. This hamster has a monstrous hamster-ball that can knock the crap out of crusaders and cyborg ninjas, harass snipers from their perches, and totally disrupt any meticulous rank and file that exists before teams exit the starting gates. Hammond has turned Overwatch into the part where Bricksburg is terrorized by a cat in The LEGO Movie. Not only is this now Overwatch, it is what Overwatch has always been since before the Beta, with plans for at least 50 different ways (Heroes) to shake things up far into the future. Let’s see, we’ve had a grand total of six new Heroes since launch in May 2016. Blizzard’s strategy, which is fair, is to keep taunting the meta, largely leaving where things settle to the players, but tactically when the time is right to make a mockery of any status quo that creeps in. “Good luck, have fun” should be all there is to it. You have to believe this is what Blizzard intends for Overwatch. Win some, lose some – the game actively manipulates this statistic. It’s a controversial point, but team composition counts for almost nothing if there’s no team sensibility, and general lack of security based on a lack of faith in each other’s skills. We will now have some grave voices on chat, demanding that we hand over the hamster… or die. These are the same people that would gripe over Hanzo in early 2016, Sombra in late 2016, Orisa in March 2017, and… you get the picture. “Nobody uses Symmetra on attack,” those kinds of comments. Meanwhile in the Overwatch League, the playing field is almost entirely open to players who wisely pick and counter-pick according to the battle, every fast-moving minute of a match. Point is, every Hero in Overwatch is viable in almost any situation, if you have confidence in your own capability, communicate well, and provide/receive back up. 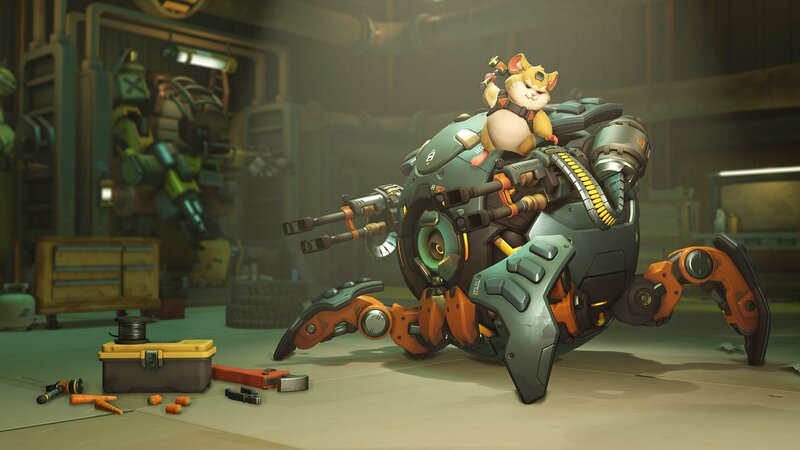 Hammond the hamster is the catalyst to bring about a much-needed change of attitude within the Overwatch community. He’s a pie in the po-faced. He restores a level of hilarity to games played at a casual level (Bronze through Diamond), in which the meta just cannot matter – because there can be no accounting for even one person who just wants to be a hamster for the evening. You know this is true. So, the next time folks are typing ‘”2-2-2 ffs” and suchlike, or screaming this like it’s going to make any difference at all, plain ignore it. Be the hamster. Be whoever you like. Be nice though. Don’t be dragged into the hate crowd. With the pros, it’s do or don’t, know or not, can or can’t. For everyone else, Overwatch has descended into an abominable blame game that Blizzard is trying all kinds of ways to dispel. Its latest solution is the Endorsement system, which has this borderline placebo effect on player mentality. It encourages compliments instead of complaints, a crucial psyche shift. With more than 40 million players since launch, it is near impossible to safeguard against griefers, or guys that genuinely have no single clue, are out of their minds on… whatever. Last month, Overwatch game director Jeff Kaplan revealed that abusive behavior is already decreasing thanks to the Endorsement and Looking for Group systems recently added. The latter, we think, has much more to do with this drop in toxicity, as Hero picks are easily the most contentious element in the game. However, complaints of abusive chat in Competitive games down 26.4 percent in the Americas, 16.4 percent in Korea, is a huge improvement. General abusive chat across all modes is even further reduced: 28.8 percent in the Americas and 21.6 percent in Korea. 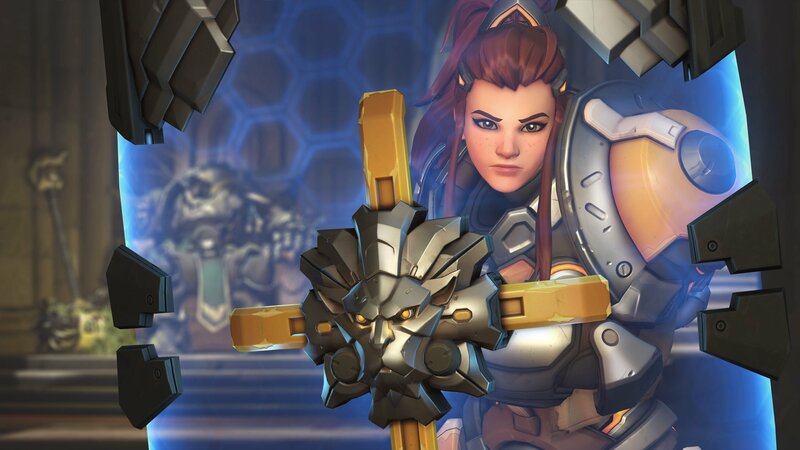 One way or another, the Overwatch environment is improving. Only 70+ percent left to go. We can do this, people! Overwatch is the embodiment of a moving target, and is engineered that way. Professional players in the Overwatch League devote their lives to keeping their eyes on that ball. Again, the basic truth for the pros is whatever works best, coordinated and calmly communicated. For these players, news of Symmetra being reborn as a Damage Hero (Attack + Defense) is worth evaluating. The changes are extensive to say the least. Why? Because… because. It keeps the game newsworthy, keeps more Heroes viable, prevents Overwatch League from becoming stale. Torbjörn is next, which we are especially curious about. 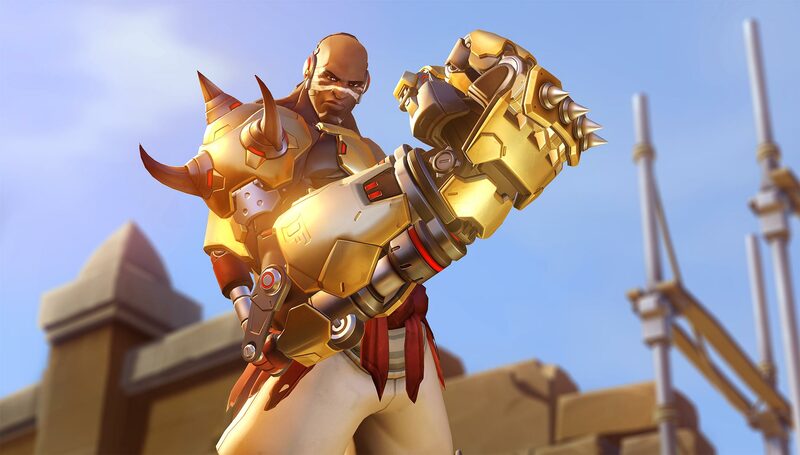 Many of the tweaks to Heroes have been mobility based, and raising the skill ceiling which – for Torb especially – has been a long-standing point of contention. 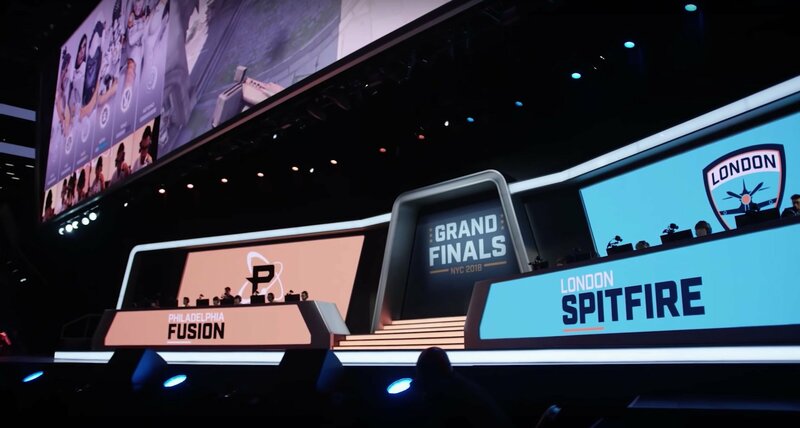 As a point of reference, just look at the picks for Philadelphia Fusion and London Spitfire in the 2018 Overwatch League final. Triple-tank, triple-support versus two snipers, triple tank and only one support for Philly and London respectively at one stage. How many Diamond players do you know that would be happy with that? The answer is hardly any, and even the commentary couldn’t call the outcome of the earliest exchange. Both teams’ compositions changed dramatically to counter the other, multiple times. No “2-2-2” at any stage. The OWL and the hamster taught us two valuable lessons in July. The first giving us freedom to appreciate the last. Number one: Competitive Overwatch is not the same as professional Overwatch. You need to organize your entire approach differently to believe that queuing with random players will lead to the promised land. This is a problem for Blizzard, not you. Number two (most important): pick who you want to pick, have fun playing, get better at playing as you go. Never mind the meta, it changes all the time anyway. Who knows how Hammond is going to fit in for the long term, and how soon Blizzard will rethink his identity in any case. Be helpful if you can. Say kind things to other people. Good luck, have fun. Paul’s first videogame was Space Invaders in 1978, which gives away his age a bit. We put his encyclopedic knowledge of the beforetimes to good use in our Retro coverage. 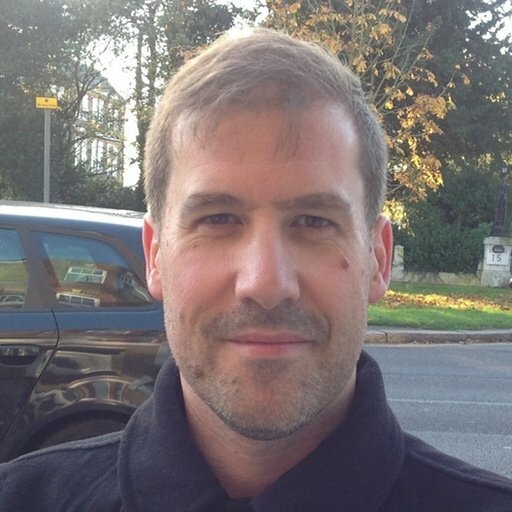 If you want to reach Paul, you can email or tweet him @FutureKick.